The InterNations Guangzhou Ambassadors are happy to announce that from this April we are going to hold two events per month! We'll keep our traditional monthly Cocktail/Networking and now we are adding a thematic event to the roll. 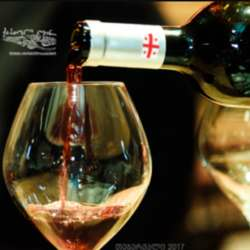 We are delighted to invite you to enjoy some of the best Georgian wine and food available in China at The Happy Monk Party Pier. For those who doesn't know, Georgia is one of the finest wine producers in the world! ✔ The welcome desk will close at 16:30, please arrive before then. Don't miss this great opportunity to taste some of the best Georgian food & wine and meet up with your fellow InterNations members, global minds, network, make new friends in our community.